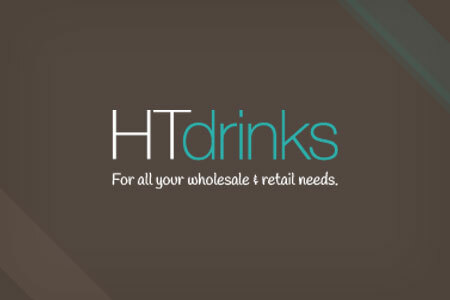 Founded in 1985, HT Drinks is a leading wholesaler in the drinks distribution business. HT Drinks forms strategic, collaborative and long-term relationships with all the leading drinks manufacturers ensuring that their customers, whom they refer to as members, have access to the latest products at competitive prices. HT Drinks also place a great emphasis on technology to ensure that they have the right solution making them highly competitive to be able to deliver nationwide wholesale and retail solutions. Customer Satisfaction is also key factor to the success of HT Drinks. For HT Drinks to deliver excellent customer service whilst offering competitive pricing there was a business need for an e-commerce website to be developed and implemented. The website had to be able to register their clients and enable the clients to navigate through it easily. The website also had to be user friendly enabling clients to select various products and make purchases through a secure payment gateway. The system had to also make provision for manual payments. The website needed to also integrate with HT Drinks existing Enterprise Resource Planning (ERP) solution, SWORDS. Furthermore, a facility was needed to cater for the delivery methods of the products such as Click and Collect/Click and Deliver. The website needed to have fully functional e-commerce facilities and allow HT Drinks to manage their catalog, categories, products, orders and customers easily and efficiently. Silver Touch Technologies proposed using Magento an e-commerce market solution. By using Magento, HT Drinks are able to manage products with categories or sub categories. All the e-transactions will be handled by integrating a payment gateway – Sage Pay and shipping will be handled as specified by HT Drink’s client’s requirements – Click and Collect/Click and Deliver etc. In addition to the e-commerce requirements, the website will provide for specific pages such as Membership, Retail club, Trade days, etc. HT Drinks can also manage processes through the login dash board. New clients to HT Drinks will be required to first register and create a user account. An online application form will have to be completed by the retailer. The form contains fields such as trading address, VAT Certificate, email details, etc and there will be an option to accept the T&C’s. After this process HT Drinks will verify the application and a customer ID and password will be generated. Once a registered user, the retailer will be able to view the product and pricing details applicable to their order. The website will enable our client to manage delivery and collection schedules efficiently and cost effectively with effective use of the technologies embedded in the solution. One very important aspect of the solution built was the bridge between the website and the ERP solution, since HT Drinks required a seamless integration for their users enabling them to check stock levels, prices and receive email confirmations from the website. Real time stock data and pricing information. Ability to have product groups that contain the different options available. Satisfied customers since the website was the single point of entry. “The fully integrated and bespoke e-commerce solution that Silver Touch Technologies built and deployed for HT Drinks has enabled the business to increase its geographical reach and business footprint. More importantly, it helps us acquire new customers, retain existing customers and be open for business 24/7. The online customer journey is creative, lucid and enables customers to check-out efficiently; this results in repeat usage and advocacy.